Synovia Solutions is a trusted provider of mobility intelligence focused on providing essential software-as-a-service for city, county and education fleets. Synovia's powerful software helps fleets save money, enhance service and improve safety. The company launched the award-winning Here Comes The Bus mobile app in 2015 that has grown rapidly into the industry-leading school bus tracking solution. 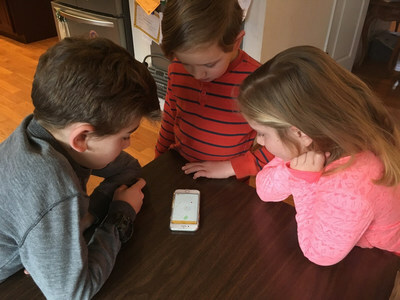 A Virginia family uses the wildly popular Here Comes The Bus app to track their school bus arrival time. Synovia Solutions launched the school bus tracking app in 2015 and it has quickly grown to serve nearly 300 school districts across North America. "This is an exciting time for Synovia as we join a host of other respected technology brands to become part of the CalAmp family. It will allow us to better serve our current customers and scale the businesses," said Jon King, CEO, Synovia. "Synovia has doubled the size of our business in the past few years and this acquisition will allow us to further accelerate our growth and provide greater value to customers while providing stellar customer service that builds on our Fleet Advisors and Synsurance℠ programs."